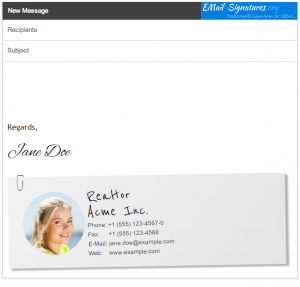 Google mail is a great tool, and email-signatures.org is a great companion for it, when is comes to using professional signatures. Here are some examples. 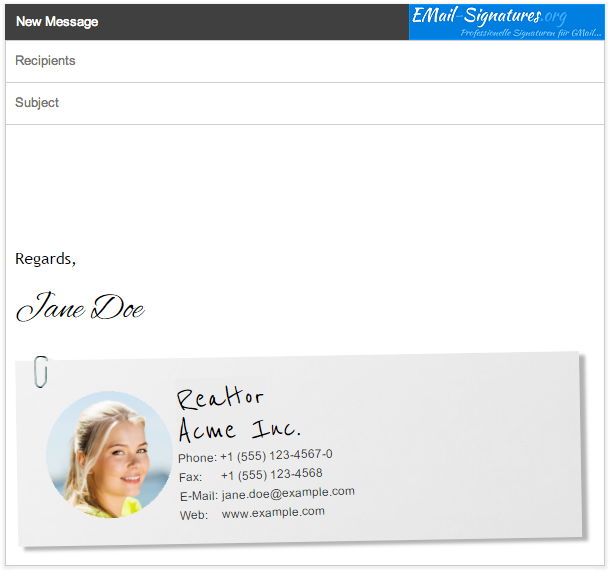 There are plenty more templates at email-signatures.org. Users of speech recognition software know the problem: It’s difficult to dictate names when answering e-mails in Outlook. And it’s always nicer to personally address the recipient of an e-mail. Enter ReplyButler. 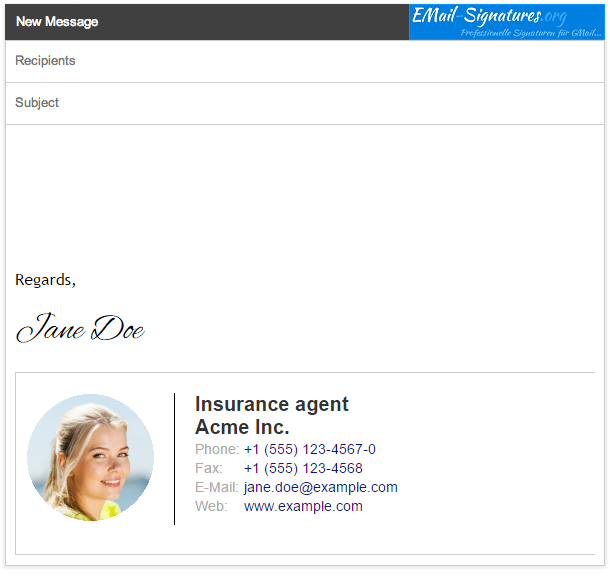 This software was mostly made for using text modules in Outlook, but it also has the nice feature of automatically writing the greeting phrase (with correct name) when replying to an e-mail in Outlook. Here are a few short impressions of the new Outlook 2010. The new Outlook starts FAST. Faster than the older version. The ribbon bar is now also in the main dialog. While the first item obviously is a good one, I (personally) rate the second one as negative. since I’m not a friend of ribbon bars. They’re easy to use for some things like BOLD or ITALICS, but difficult for the complex administration tasks of the Outlook main dialog. A classic question whenever you’re trying to do something with the internals of Outlook. Microsoft has hidden the file well. At “File” you can see the path and file name of your pst file. Posted in Uncategorized | Comments Off on Where’s my PST file? Synchronizing Outlook is proudly powered by WordPress and the sync files software.